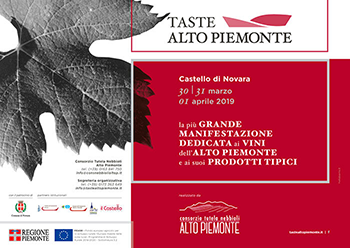 Taste Alto Piemonte is considered the leading event that focuses on the wines of Piemonte region and on the typical regional food products. It takes place at Novara Castle in Piazza Martiri della Libertà from Saturday 30th March to Monday 1st April. Wine lovers and professionals can taste wines fron over fifty Piemonte wine companies and also various regional food specialities. The Deepning seminars cost 20 Euros.